Edmund L. Alves, Jr., a partner in the firm, has been practicing in the area of municipal law for over forty years. He has served as Town Solicitor and chief legal advisor for the towns of Smithfield, East Greenwich and West Greenwich, Rhode Island. 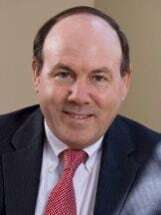 He has also served as legal counsel to the Rhode Island Ethics Commission, the Woonsocket Budget Commission, the Burrillville School Committee, and the Rhode Island Turnpike and Bridge Authority; as well as probate judge in the towns of Smithfield and West Greenwich. He has represented other municipalities and school committees over the years and is well-versed in the workings of local government in Rhode Island. He has been involved in numerous court cases involving the actions of municipalities and municipal agencies, including matters relating to zoning and planning, home rule, labor law, education law, taxation and the applicability of various state statutes to municipalities. He also practices in all areas of estate work, from the initial estate planning stage to the administration of complex estates. Some of the firm's clients require only simple estate plans while others need sophisticated trusts or succession planning for their businesses. Each client is equally important to the firm and he strives to meet each individual's needs, no matter how simple or complex. Mr. Alves also has a general corporate practice, providing counsel to a variety of small businesses as well as municipalities. His business clients include manufacturers, service companies, realtors, golf professionals, and insurance agencies, to name a few. He advises his business and municipal clients on labor issues, and has broad experience in employment law, collective bargaining, and grievance and interest arbitration. He is a member of the Rhode Island Bar Association and has served on its Municipal Law/Government Lawyers Committee for over thirty years. Mr. Alves is also a member of the American Bar Association. He is admitted to practice before the Rhode Island state and federal courts, the U.S. Court of Appeals for the First Circuit, and the U.S. Supreme Court. An avid golfer, he is a member of Wannamoisett Country Club and a director of the Cape Cod Pro-Am Golf League. He is a graduate of Brown University and received his J.D. degree from Boston University School of Law.